Beer and Instagram are perfect for each other. I’ve never seen beer look so good as it has in pictures posted to Instagram (except when it’s in my hand and I’m drinking it.) The photo sharing platform is also an amazing way to stay up to date with what’s going on at your favorite brewery or with your favorite bottle shop. Local or traveler, if you’re interested in the beer culture in Hawaii you should be on Instagram and following these accounts. From beer geek to brewery owner, bottle shop to home brewer, these accounts post some of the most interesting and beautiful pics about Beer In Hawaii. 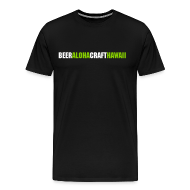 With over 8,000 followers craft_beer_hawaii is by far the biggest IG account that is not affiliated with a brewery in Hawaii. If you’re into super rare beer and spectacular scenery then this is a must follow. The duo who run the account are serious beer collectors, as apparent by the numerous pics of hard to find beers from breweries like Cantillion, De Garde, Lawson’s Finest Liquids and SARA, just to name a few. And when has beer on a white sandy beach, with sparkling blue water and a girl in a bikini not been something you want to look at? There’s a vibrant beer trading community in Hawaii and if you’re looking for a window into it, then this is the account to follow. The founder and fearless leader of Maui Brewing Company is a frequent Instgramer. For many years, Garrett maintained the Maui Brewing Company Instagram and other social media platforms. But earlier this year he created his own account where he documents his beer travels and work for MBC. For anyone who is a fan of MBC, this is an account you’ll want to follow. It’s a great view into the world of owning and running a huge and rapidly growing brewery. One thing you’ll learn quick is that it requires a lot of travel. There are great shots of Garrett with his various and well known buddies around the craft beer world. Liquor Collection in Ward Warehouse has been supplying the islands with a unique selection of craft beer for decades. For many years they were the only store in Honolulu to actually carry imports and craft. As the craft boom has hit Honolulu, more and more locations are stocking their shelves with a wide selection of beer, but there is still only one original. The small shop is packed tight with a nice selection of beer, wine and liquor and the staff is awesome. They also post a ton of great pics of new beers they receive each week. Brew’d Craft Pub is one of the best beer bars in the city (the other being sister Real, who you should be following too.) Ok, so the pics are not out of this world, but they keep you up to date with what’s going on at the bar. New bottles, tap takeovers and lots of food specials. If you want to know when a new beer goes up then this is a must follow account. Marty from Mission Brewing is in town tonight. Come party with Marty tonight and enjoy a few 20oz Shipwrecks at BREW'd tonight. Bill Carl is one of the very few Certified Cicerone’s in Hawaii and the Beer Specialist for Southern Wine and Spirits. He oversees a massive beer portfolio and is constantly hosting beer events around the state. If there is a beer dinner going on in Hawaii it’s likely Bill is behind it and documenting it on his Dine and Draught Instagram account. 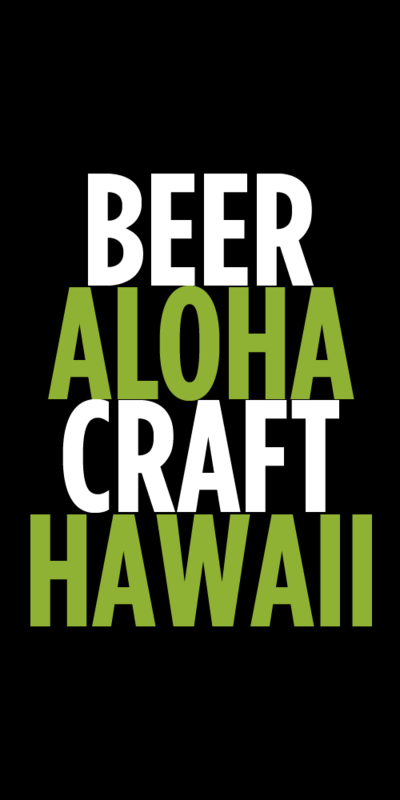 Want to keep up with all of the new and awesome beers coming in to Hawaii through SWS then give this account a follow. Homebrew is alive and well in Hawaii and homebrew_hawaii posts some of the most beautiful brewing images around. Even if you’re not into homebrewing I suggest you follow this account for the super stylized and slick pics that somehow make simple things like malt, grain and yeast look amazing. Behind HBH is Eulerson Pajimula, a home brewing mastermind (serious you should try and get your hands on some of his brews) and a huge craft beer supporter in Hawaii. You can find him working at Homebrew in Paradise, Oahu’s only home brew store, and hosting monthly events for his Na Hoa Brew Club. Christmas came early! 88 pounds of hops will bring a grown man to tears! Looking for Whalez? Then following 808craftbeer would be a good place to start. A local enthusiast who would make many mainland collectors jealous with his collection and posts. There’s a healthy group of super beer collectors in Hawaii and many of them gather regularly to share their hard to find goodies. I personally love 808craftbeer’s weekend posting blitz of the sometimes numerous bottles killed. This account comes from a Maui home brewer, beer lover, kombucha maker and draft system builder. This is a great account to keep you up to date with the Maui home brew scene as well as see some of the cool new beers showing up on the island curtsey of Maui Stone Craft Beverages. Recent shots have become more and more polished with some amazing beach and water scenes. Yes, beer bottles on the beach can be captivating to look at. This hidden gem isn’t so hidden anymore. BevMart is a great bottle shop in Honolulu’s Moilili neighborhood that posts lots of beer updates. Want to know what’s new at the shop, then you better be following them on IG. A recent shipment of much sought after and rare Cantillion hit Hawaii and if you were following bevmartoahu you may have been one of the lucky few to grab a bottle before it sold out. Ok, this is a cheat because it’s not just one. But if you’re on IG and want to know more about Hawaii’s breweries then you should be following ALL of them! So #10 is a bonus. Here’s a list of all our local breweries Instagram accounts. Tags: Best Instagram, Big Island Brewhaus, Honolulu Beerworks, Kauai Beer Company, Kona Brewing Company, Lanikai Brewing Company, Maui Brewing Company, Mehana Brewing, Stewbum & Stonewall, Waikiki Brewing Company. Bookmark the permalink.